Does the "No Poo Method" Damage Hair? 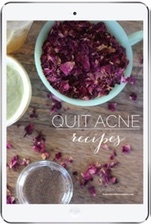 Reveal radiant skin without harsh, toxic, and expensive products with the recipes that cleared my acne naturally. Get free access to the book! Does the “No ‘Poo Method” Damage Hair? If you google “no poo method” you’ll get testimonials about the miraculous results of this hair care method. The before and after pictures were enough to convince me to try the baking soda and ACV. Although I only used the No Poo method for about two months, it did take a toll on my hair. My scalp was getting flaky and irritated and my hair felt slightly brittle. When I posted that I was trying the no ‘poo method on Facebook, many of you wrote that baking soda had actually ruined your hair. Curious–and scared–I began researching. Evidently, baking soda is very alkaline and, although it may make hair soft in the beginning, it will overtime damage hair. This is the reason the No Poo method fails for many people: it is not pH balanced for the scalp or hair. While I don’t agree with the product plug at the end of her article, she does bring up good points. Namely: don’t use harsh ingredients on your hair, even if they are from your kitchen cabinet. Using highly alkaline solutions on your hair (baking soda, bronners soaps, etc.) though it feels soft and manageable that is really the disulfide bonds in your internal hair structure being weakened by the alkaline solution… To then bring your hair down to it’s proper pH a acidic solution (apple cider vinegar) when using a alkalinic cleanser is used, this is called clarifying. This dual process is not healthy for your hair or your scalp. — Amanda, a TYB reader. Can baking soda or vinegar be used on the hair? Due to the strong alkalinity of baking soda, I believe it has no place in hair care. The basic pH of baking soda can damage hair even when it is followed by the acidic vinegar. Many would disagree with me, because they have fantastic results with the No Poo Method. My goal is not to demonize No Poo here, because if it works for some people, then more power to them. But if you aren’t having success with No Poo, it’s not your fault because the baking soda is harsh! So if you want an alternative to the No Poo method, I would encourage you to explore the holistic hair care options I discuss below. But what about raw apple cider vinegar? Since a healthy scalp is slightly acidic, between 4.5 – 5.5, a diluted apple cider vinegar rinse can be safely used. Dilute 1 – 2 tablespoons of apple cider vinegar in 1/2 cup of water to create this rinse. The gentle acidity of this rinse helps promote a balanced scalp and can prevent the common fungal overgrowth which leads to dandruff. My natural hair care journey has been a long and adventurous one, as I tried the No Poo Method, then various other DIY hair care recipes, then ACV rinsing. I went more than a year without purchasing shampoo. I was ready for a change and, quite frankly, was ready for the convenience of a pre-prepared shampoo. Finally, I found 100% raw hair care products that met my holistic philosophy – including balancing the pH of the scalp. I was delighted by my results, and I shared my experience with this haircare line here. Do you use homemade hair care? Have you used the no ‘poo method? Thanks for the blog post. I have/had extremely oily skin/hair. I used baking soda and acv for almost 4 months (my transition period was really long – really heavy oil production) and then I switched to just hot water and acv rinse. I do have hard water so that is probably why the acv rinse really helps. I use the hottest water my head can stand and use a micro fiber cloth and run it through my hair concentrating on the scalp/roots areas and then run it out to the ends. Then I put between a 1/4 and 1/2 cup of acv on my hair again concentrating on the scalp/roots and rinse immediately. I really love how my hair feels now. I also started brushing my hair with a scalp stimulating brush right before I shower, it also spreads the natural oils throughout all of my hair and seems to make it easier to get “clean”, my scalp really likes it too. I dry brush my body every morning and got the idea that my scalp would probably like it too. Two years ago, I began the “no poo” method using baking soda and ACV rinses. I had a transition period of several months where my hair was very oily and damaged. I reverted to using low sulfite shampoo after a few months; though my hair had begun to return to normal. Then, I began using a mixture of castille soap, water, and tea tree oil. I was only washing my hair once every other day, and it t was working pretty nicely, but I had begun to notice drying in my scalp and the ends of my hair. Then I discovered the aloevera gel/coconut milk recipe referenced above. I whipped up a batch using homemade coconut milk and froze it into icecube trays for easy storage. I’ve washed my hair only twice (once a week) and have been using ACV inbetween about every two days to ease the transition. This transition is far less noticeable than the first transition I experienced. I like the new concoction; though I find it a bit difficult to apply because it is quite liquidy, even though I used aloevera gel and not the juice. I’m thinking that the homemade coconut milk may have made it too liquidy, so I’m going to try the canned coconut milk for my next batch, which is a few months away. Right now, I just pour it onto my head in several places, trying to keep it on my head and not running down my face/back. Then I rub my scalp with my fingers to try to work it through. After 30 seconds or so, I work it through my hair (I think) with a fine-tooth comb. Then I rinse with hot water. My hair looks beautiful and my scalp is less itchy already. I do this also, I mix a cube diluted a little bit with water in a olive oil mister bottle. Works wonderful and definitely allows you to get it all over without using to much! Thanks for sharing your experience. I hope this isn’t the case for you, but No Poo usually makes hair very soft and shiny in the beginning, but overtime hair will become coarse and brittle. If it doesn’t work out, I hope you enjoy the honey shampoo. I would disagree. I’ve been no ‘pooing for over 3 years now and my hair is still just as soft and shiny. Obviously baking soda is very alkaline but that is why you need the acidity of the vinegar. To balance the ph levels. There are those who use just one or the other and those people will likely have issues. But if you do no ‘pooing correctly, than it’s fine for your hair. People who have issues with no ‘poo do so because they need to tweak the ratio to fit their hair’s needs. My husband, a Ph.D chemist, agrees with you. The acv or lemon juice balances the ph when using baking soda. So if you are rinsing with acv or lemon juice your hair should not be damaged. If no poo works for you and keeps your hair healthy, then more power to you 🙂 It is the drastic change in pH between the baking soda and vinegar during washing that can do damage. 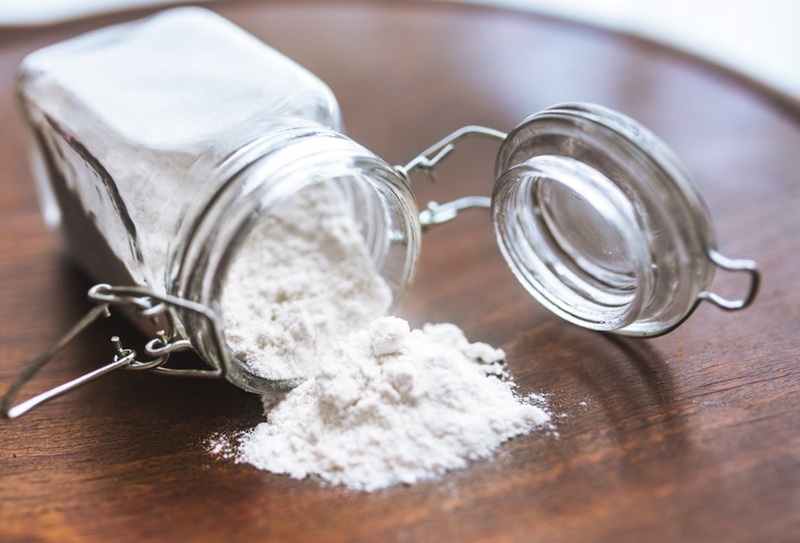 The baking soda still has a very high pH which damages hair, and then it is rinsed out. The vinegar is supposed to counterbalance the high pH, but the baking soda has already done some damage. What about if you mix the acv with baking soda and use it mixed?? The change shouldn’t be drastic because you rinse the hair well before using the acid rinse. I don’t agree with this, just as there is no right diet for everyone, & everyone is different. It’s like saying, because I can eat peanuts, you shouldn’t be allergic. Oh yes, I did make that mistake in my previous comment. The baking soda has a high pH and the vinegar has a low pH. Even though it is diluted, the pH change is still not best for the hair. OH FINALLY! someone FINALLY talks about hair pH and chemistry, yes. baking soda, for all intensive purposes should be horrible for your hair, its basic, its bad. your hair’s pH is like 4.4-5.5… i could only imagine baking soda couldn’t be much better for your hair than color, which is generally a pH of around 7. perms being from 8-13 pH *facepalm* This is one of the first things we had to study in hair school. Its refreshing to see a different point of view considering reading all of this fantastic mumbo jumbo about how great no-poo is, I was almost ready to give in. You could still give in…. I’ve only just learned that people are calling no poo = baking soda & acv. I was thinking, WUT!?!? I’ve been no poo for 3.5 years, & I never once thought to go this route. Which route do you take? It’s “for all INTENTS AND purposes”, although in this context it’s almost a pun. How effective would your treatments be if you diluted them with 20-30 times more water first? Not very, I’m thinking. There really is no comparison. There’s far more at work in hair treatments than just ph so it’s not really comparable on that level since each component would be affected. I have been wanting to try no poo, but i had just bought a gallon of shampoo. I read about the strip/coat cycle of shampoo/conditioner so now i only wash/condition once or twice/week. This article said some people only wash their hair once a month! A question re the honey method: how do u keep ants and other bugs from getting to the honey? I am glad to stumble upon this article. After about ten months of no poo I stopped because my hair was dry and despite getting regular trims, dead looking. Last week I gave up and bought conditioner and shampoo. A couple months in I thought it was great and then it changed! I did the classic no poo with B.S. and vinegar for about six months, around 4 years ago. I never intended to use it permanently but rather as a temporary step to help heal a nasty, nasty case of dandruff by way of SLS sensitivity (plaques of the dandruff that would worsen after shampooing). Now I use Aubrey’s Organics, which are gentle, presumably ph balanced, and free of the harsh foaming agents that caused the problem in the first place. If ever I get exposed to SLS (hair dresser’s usually), I just do B.S. and vinegar for a week or two, or just skip putting anything in my hair at all. And I thought it was just me… I disagree with the above posts (and the ones that are inevitably to come) that say “if no poo isn’t work you’re doing it wrong.” I tried every conceivable ratio of baking soda to water and every other variable I could think of and it did not work for me. Obviously I don’t know everything (and guess what, neither do YOU person who is tempted to argue with me!) but my educated guess would be that the difference between on person and the next is the amount of damage their hair can withstand before looking/feeling bad. Ever met a blonde who could successfully no-poo? They likely exist, but they’re few and far between. That’s because our hair shaft is finer and I’m guessing that makes the damage more apparent more quickly. I’ve been washing my hair with a combination of egg yolks, lemon juice, and raw honey for the last 3-4 months and my hair has never been better. It’s soft, full, strong, no frizz, my scalp has stopped flaking, and my shedding has cut way down. Yeah, I agree with you–I think that no poo always damages hair, but just at a slower rate for some people. But if they read this post and still want to continue no poo, then whatever. It’s their hair and if they like no poo, it’s fine with me. What ratio of yolks, lemon juice, etc. do you use? I am trying to wash with DIY concotions, but no baking soda… too damaging! Yes, I would love to know the combination of yolks, lemon juice etc. I am a natural blonde with fine but course, wavy hair. Well my daughter with the VERY thick hair is a blond. And the no-poo method has been working very well for her (she’s 12) for about 2yrs (?) now. She does wash her hair more often than I do (she’s in those greasy years). I do once a week – she does 2-3 times per week (but that’s still better than every day, as I had to do at her age). This makes sense. I was eye-rollin’ at all the comments to the tune of ‘I disagree with physics because it worked for me’ or ‘god made my hair immune to physics’. I am not a smart person so a good come-back wasn’t comin’….but your comment makes sense. I have lots of fine thin hair and notice that I have less wiggle room when it comes to hair products in general. I think you are right about it being the quality of the hair showing the damage sooner…or…possibly…not at all. Maybe the BS fans just have stronger hair and can take the chemical abuse. Or maybe it’s magic. I have been doing the baking soda wash and the ACV rinse for about three weeks now. I’m happy to have found my hair producing oil without spazzing, but the texture is all wrong. My hair does seem brittle. I’m very happy to have found your recipe and look forward to trying it out!